In the first half of the Eighteenth Century two great masters (Bach and Handel), sum up the whole development of European music. Bach, building on the German organ tradition, represents the summit of Evangelical church music with his organ works, Cantatas and Passions. In his chamber music and concertos he developed the style of the Italians with great skill, and reanimated the German orchestral suite, in a few splendid examples. 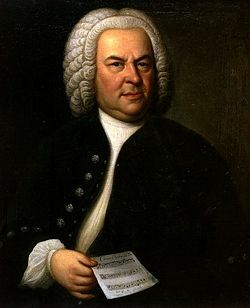 In his music for keyboard instruments Bach absorbed strong French influence and ranged over a wide field, from pedagogic works and intimate domestic pieces, to the supreme wisdom of the Musical Offering and the Art of Fugue.